Triggereigenschaften (verwende Roland TD30) sind top und die Optik spricht sowieso für sich selbst. Habe die Snare seit fast 6 Jahren im Einsatz. Gestern zum ersten Mal das Schlagfell gewechselt - ich spiele pro Woche ca. 6 Stunden. Replaced the Snare of my Roland TD 25 with this beautiful snare which ignited my motivation to practice more once again. 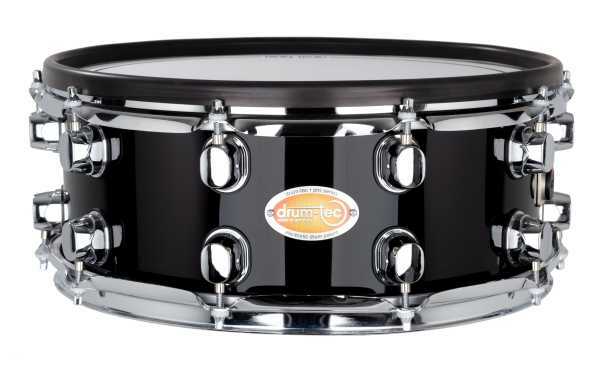 Everything you could ask for is granted by this Snare. This Snare is Excellent !! I have Roland V-Drums TD-30. This Snare is real size 14" x 5,5". So it is very comfortable for practice and live.